This cherry or walnut ladle is 4 inches wide and 12 inches long. The pouring spout only goes over 1/2 inch. That allows you to get the full service of the ladle. Spoons and spatulas has been washed to raise the grain, then re-sanded and waxed with beeswax and mineral oil mix. 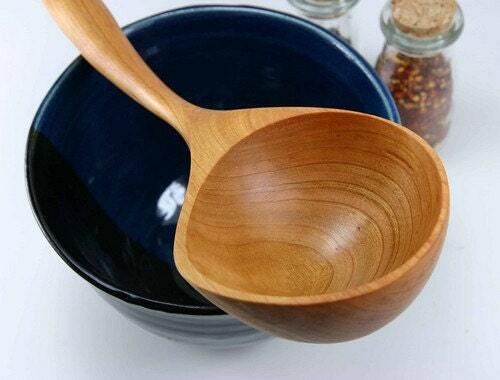 Big Serving Spoon / Ladle / 15"
This ladle was bought as a gift, and it is beautiful! Well made, smooth and lovely.